DeBoer Building LLC is always looking for highly motivated, skilled employees. Job tasks include but are not limited to demolition, framing, insulation, drywall, painting, trim, siding, roofing, etc. We desire that an applicant has 2-3 years experience in most of the tasks listed although we do expect some on the job training may be needed. The ability to take instruction and turn it into systematic production is an important aspect of this job. Also, a key factor in the hiring decision will be an applicant’s attitude towards co-workers, customers, and the work itself. When applying, keep in mind that all employees are representatives of DeBoer Building and are expected to meet high standards in appearance, behavior, language, and attitude. With all new hires, a 90 day trial period will be implemented during which time either party may terminate the relationship. This trial period helps ensure a good fit between the employee and DeBoer Building LLC. Normal hours for the position are from 8-5 with ½ hour for lunch. Some projects may require adjustments to this schedule. All employees are also expected to attend team meetings which are held every other week. These meetings are a time to discuss projects, schedules, updates, and training. An employee will generally work with another member of the team, but at times may work on a project by themselves. We prefer that applicants have a truck, but that is not a requirement. Pay will begin between $8 and $15 per hour depending on skill level. Applicants will have the opportunity to list what tools they currently possess. 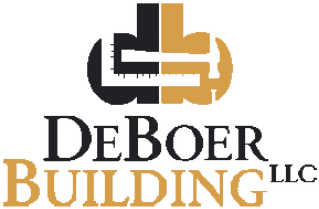 At DeBoer Building, we are looking for employees who are interested in continued improvement in areas of work ethic, product knowledge, attitude, motivation, and skills. We expect that an employee will improve through reading, seminars, workshops, internet research, etc. Resumes are preferred and should be submitted with application. Applications and a detailed job description are available upon request by calling (616) 363-3277 or emailing us at deboer.building@gmail.com.